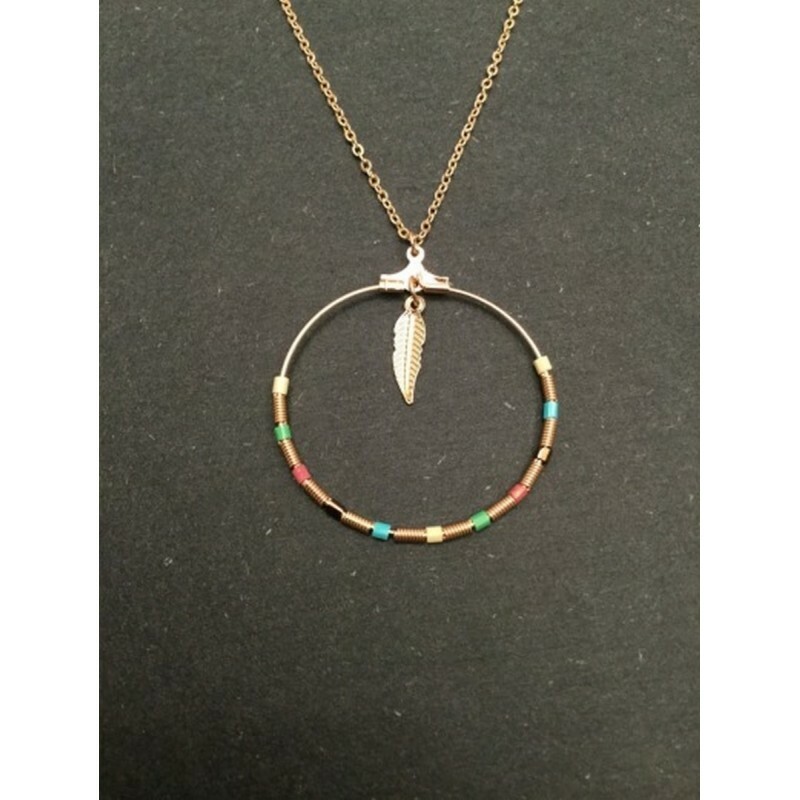 Necklace - Ring chamr with coloured beads and metallic feather charm. 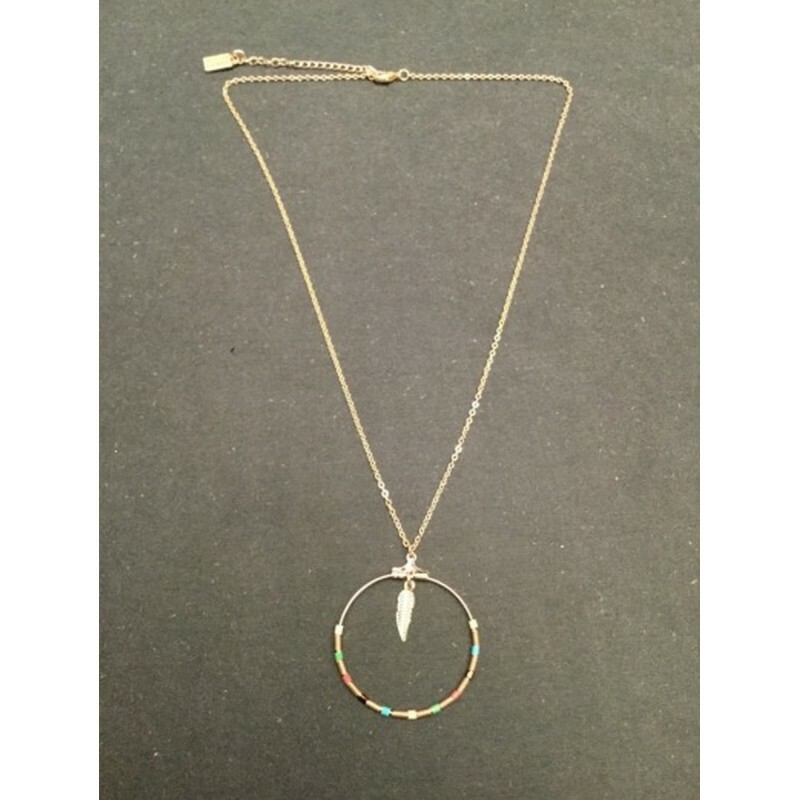 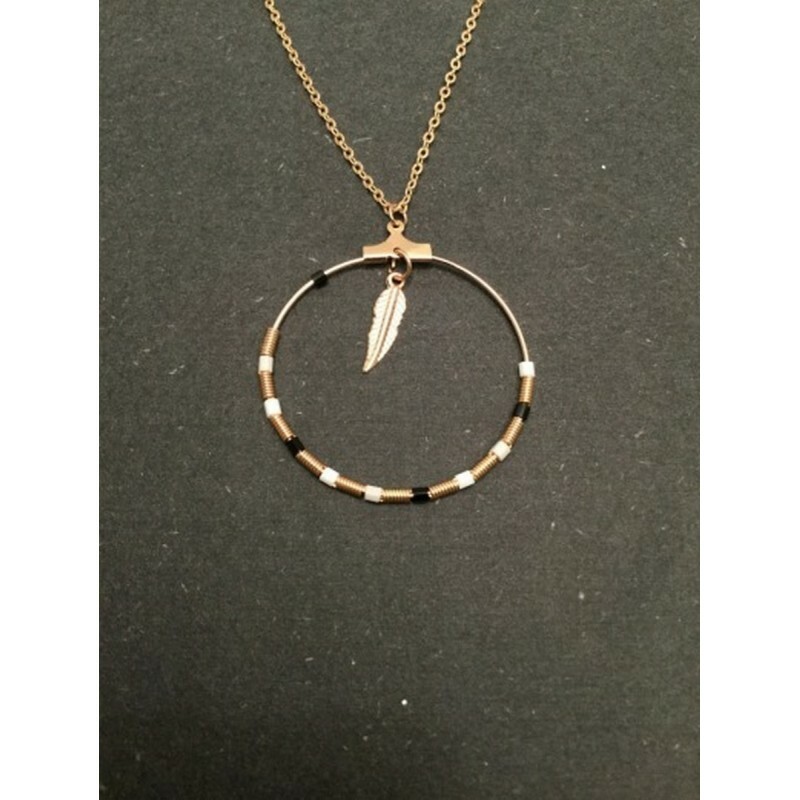 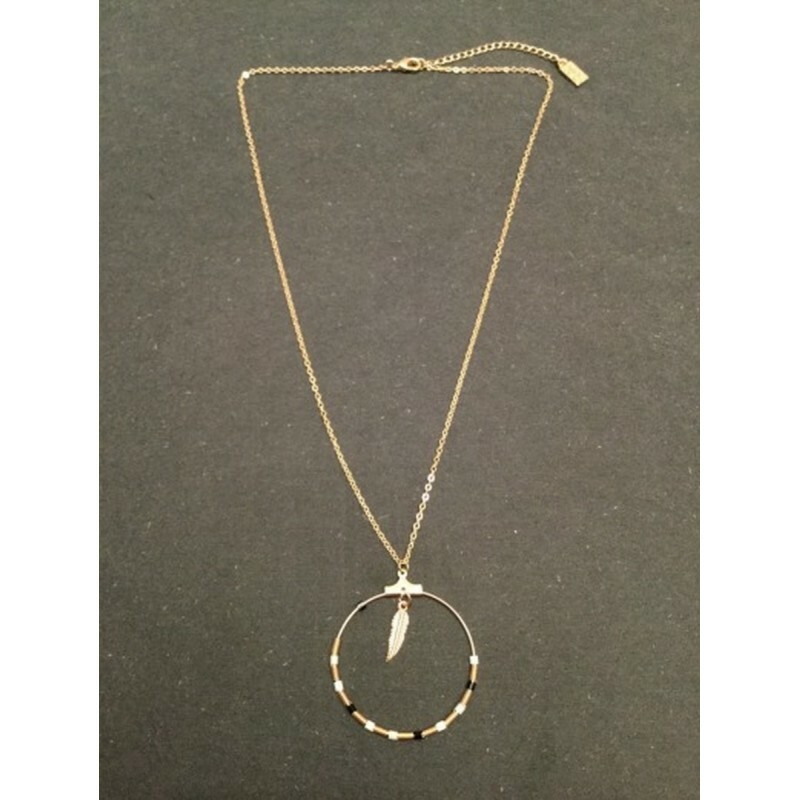 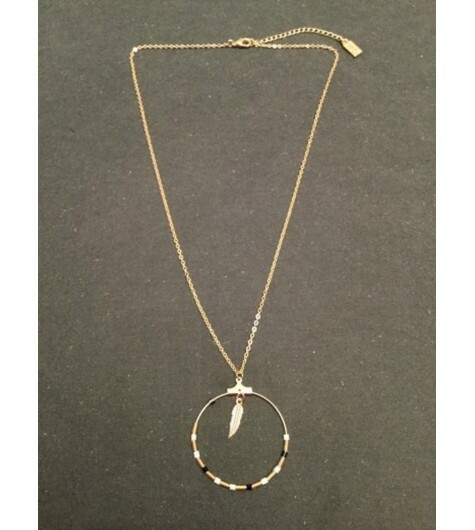 Jewellery/Fashion Jewellery/Necklaces/Long Necklaces/Necklace - Ring chamr with coloured beads and metallic feather charm. 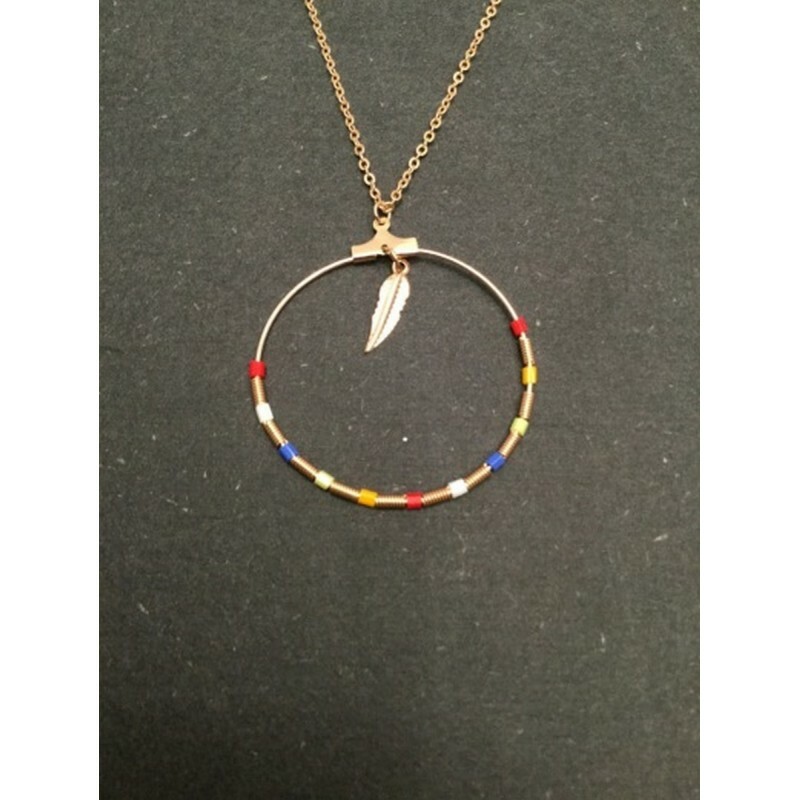 •Ring chamr with coloured beads and metallic feather charm. 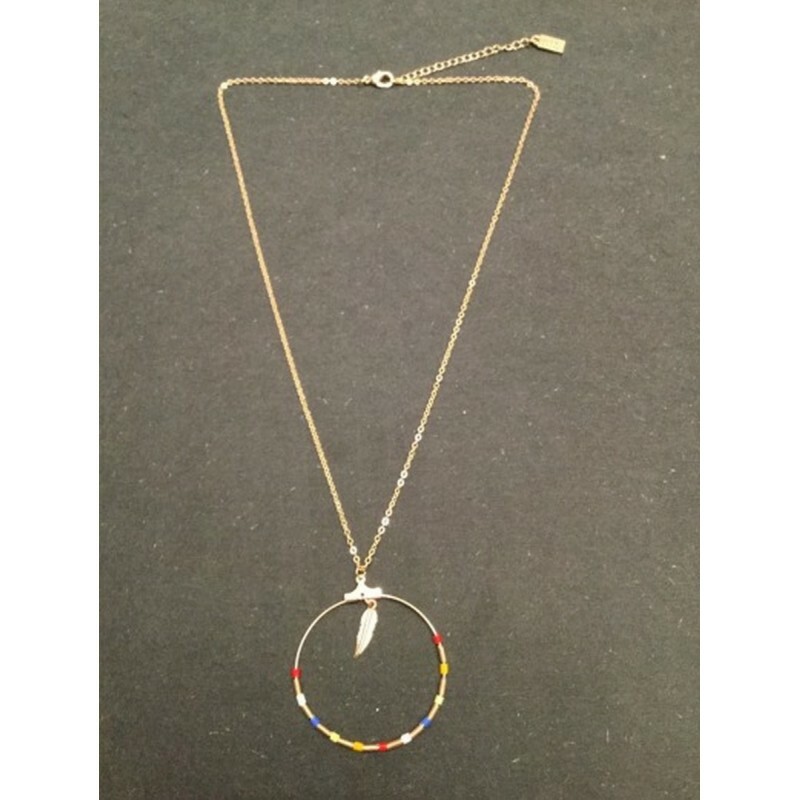 •Adjustable chain and a lobster clap fastening.